ANY AGE, ANY ABILITY: Any age is the ideal age to learn to ride a bike. Our Youth 16 Sport is designed for ages 6 years and up with a max rider weight of 187lbs. This adjustable, lightweight design only weighs 17.7lbs and will help you learn to balance and be able to enjoy riding a bike at your own pace. SIMPLICITY AND SAFETY MEETS PERFORMANCE AND FUN: Our 16 Sport features: 600mm wide handlebars with a low 3 degree sweep; cross terrain inflatable tires offering a 42lb max psi; footrests that can be added/removed are included, and frame mounted front and rear v brakes with great stopping power. NO TOOL SADDLE ADJUSMENTS AND LONGEVITY: The fully padded 25.4mm seatpost fits 20.5 - 26.5 in inseams and the machined aluminum quick release bar and seat clamps allows for No Tool saddle height adjustments granting a seat height range of 19.5 - 25.5 in thus extending your bike's potential life. 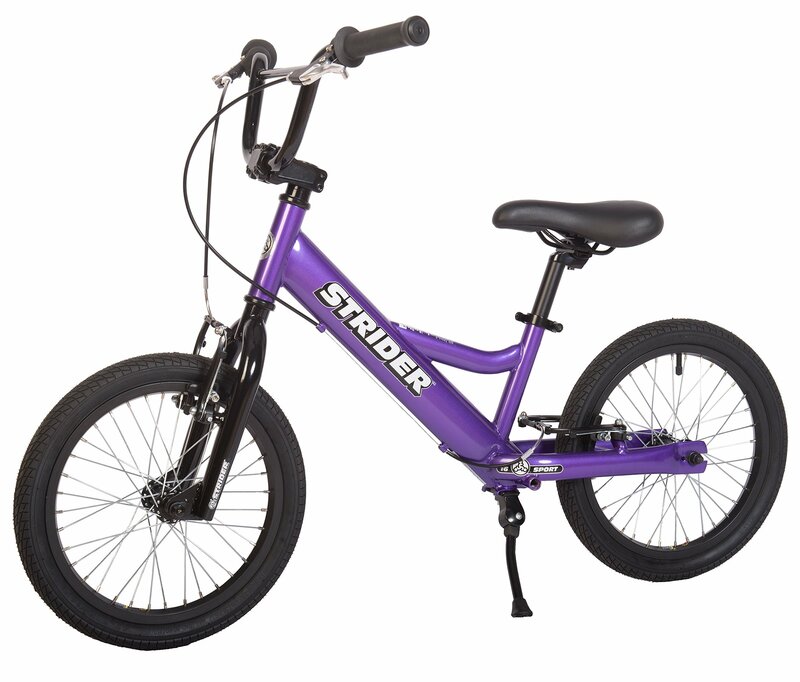 The STRIDER 16 Sport model is a major redesign of our initial 16" modellaunched last year. With better components, new features and moreadjustability, we know this bike will be a hit with kids who are just learningto ride for the first time, kids who are dealing with special needschallenges, as well as those who are tearing it up at the skate parks and BMXbike parks. Easy quick-release seat height adjustment for rider inseams from19.5 to 25.5 inches (49.5 to 64.8 cm).